Long-term care is a range of physical and emotional services to a patient over an extended period. However, compulsory long-term care is not medical, but support to basic tasks such as walking, breathing or even feeding. Additionally, it may involve assistance to persons with chronic illnesses or disabilities. As a result, it requires a level of medical care and skilled practitioner to address multiple issues associated with the vulnerable persons. For example, even though the care is common among senior citizens, people of all ages may require the services. Finally, practitioners may offer the care by home assisted living facilities or nursing homes. The practice received significant challenges in the past resulting in many reforms in the healthcare sector. However, even though such reforms provide many opportunities in increased quality and accessibility to long-term care, there are various risks and challenges in the implementation and sustainability for the program. At the beginning of the US independence, the US population was younger than today. Life expectancy was less, and immigration constituted of young people. As a result, the percentage of senior citizens among the population was small. However, a significant number of people experienced poor medical care and standard of living. Senior citizens depended on children because there was no old-age security other than charity from churches. However, local governments developed public welfare systems and the federal government had no part, but later local government established laws for aiding vulnerable groups, resulting in the modern system (Saicier, Burwell & Gerst, 2005). The public welfare system provided houses for the poor and children. The funds were acquired from taxes, and society associated the system with the economically deprived. On the other hand, the systems used boarding persons as laborers despite their condition, and, as a result, abuse was shared by both the society and system. Secondly, poor camps developed, and members roamed the countryside using local systems until the authority confined them. Additionally, charitable organizations such as churches began to take responsibility of such individuals, developed homes and paid services for members. The approach was effective and developed into a modern system (Saicier, Burwell & Gerst, 2005). As revenues from the taxes increased and the federal government became dominant, the part between different levels of government developed significantly. For example, the state-controlled the social welfare system while the federal government funded it. However, the local government had more responsibility than the federal government. Additionally, the federal government regulated the system through different policies. For example, in the 1770s, it authorized pension for disabled Revolutionary War Veterans. The policy provided partial payment for soldiers for the remainder of their lives, and especially the disabled until the federal government took charge of the system (Kripalani, Theobald, Anctil, & Vasilevskis, 2014). The approach saw many developments since then. For example, in the 1960s, with the development of Medicaid and Medicare many programs and services evolved. However, in the succeeding decade, the system experienced the significant increase in expenditure. The developments created concerns on the sustainability of the system dominated by the institutional care. In the 1980s, Congress developed the home-and community-based waiver options. It allowed the state to develop flexible services that suited the locals. However, it would still receive funding as nursing homes. The system was more effective than before since the state funding declined from $3.8 billion in six states to $17.9 billion $1.7 billion in 48 states in 1991. However, there was no significant change in Medicaid Nursing home expenditure. For example, the cost rose from $10.5 billion to $17.9 billion in the 1980s (Saicier, Burwell & Gerst, 2005). In the 1990s, the system evolved into a managed-care, which addressed acute illnesses, whereby the states enrolled significant numbers of women and children in Medicaid. However, there were a few managed long-term care programs in the states such as Arizona, Florida and San Francisco. Secondly, in the 1990s, there was the process of developing the Medicaid to add long-term care. For example, Colorado, Minnesota and Wisconsin were the first states to develop such programs with the use of PACE and ALTCS models. Minnesota was first to implement a fully-integrated model that combined both Medicaid and Medicare financing for senior citizens. Later the state of Minnesota implemented the Senior Health Care Option under section 1115 and 222 Medicaid demonstration and payment waiver (Saicier, Burwell & Gerst, 2005). Today long-term care plays a significant role in addressing various medical and non-medical issues. For example, in 2003 more than 3.1 million senior citizens and persons with disabilities received Medicaid-financed long-term care. More than 50% of the population was in nursing homes and the rest in community-based programs. The programs also include Medicaid home and community-based waiver programs or state Medicaid plan benefit. Secondly, the combined Medicaid and Medicare expenditure for the population was approximately $132 billion in 2003. Although Medicare does not cater for long-term care, the acute care expenditure is high (de Castries, 2009). In the early and mid-20th century, provision of long-term care was not different from the general treatment of medical and social illnesses. Voluntary community hospitals served as charity caring for persons lacking resources and family support. Charity groups settled the less-deprived poor in public poorhouses. However, due to the unregulated long-term-care systems, many challenges emerged and the government intervened with two significant reforms programs; Patient Protection and Affordable Care Act. The reform focused on managing care costs, assuring access to medical services for all and ethics (de Castries, 2009). 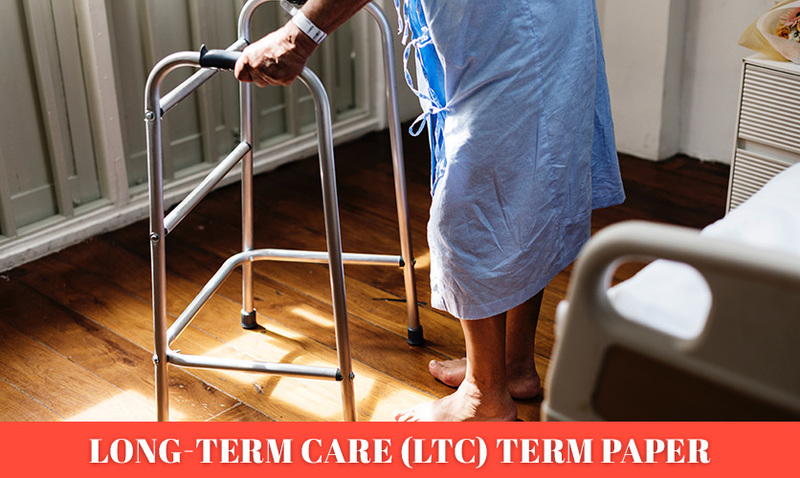 The organization of long-term care before the implementation of health care reforms focused on addressing communities’ growing expenditure of the vulnerable. Persons requiring long-term care due to disabilities and medical needs were not different from the ones requiring public support. The belief was that if relief could be punitive and stigmatizing, only the needy would seek support, and as a result, minimizing care cost to local government. Additionally, other three approaches for managing the indigent during the 19th century were operational. One approach provided care through indoor relief in the form of cash, while another accomplished it in the form of poorhouses or auction system. Despite the efforts, nursing expenditure grew significantly (de Castries, 2009). The second issue is the shortage of caregivers. For example, the 1990s and early 2000s experienced the significant shortage of primary care providers and public health professionals. Additionally, there was the unequal distribution of the nurses nationwide. Research recommended that addressing the issues was a significant agenda of health care reforms. For example, the Institute of Medicine documents that prior the health care reforms need for healthcare workforce would increase because of the aging Baby Boomer, who would add on the senior citizens. Secondly, the recession and high unemployment rates during the decade affected the state budgets, resulting in cuts in the workforce that provided primary care, public create and other services (de Castries, 2009). Another challenge that was faced by long-term care delivery was inequalities in enrolling eligible persons. The medical system relied on employer-based private insurance. The approach increased pressure to both the caregivers and the patient. The provision was as a result of the Social Security Act Amendment of 1965. It combined both the model from Medicaid and Medicare. The approach distorted long-term care in two ways. First, it adopted the private insurance model hence increasing medicalization and institutionalization of care. A second unintended consequence was that it emerged as a default payer for the long-term care. As a result, only the employed, and persons able to pay for insurance would access the service (Brown & Finkelstein, 2011). In the late 1900s, financial and patient care scandals in Medicaid and Nursing home systems resulted in a backlash against nursing-home providers. The public accused the system of neglect and abuse. The developments led to the enactment of Omnibus Budget Reconciliation Act, which standardized certified caregivers nationwide. Efforts to restrict payment for both acute care hospitals and nursing homes provided the platform to develop alternative nursing homes. For example, Medicare and various Medicaid programs adopted a payment method that discouraged institutional care for less primary care. Consequently, the programs reimbursed nursing homes at less than the cost of care for such patients. Nursing homes responded by a decline in the occupational rate of the number of people with long-term care. The unintended result was a shift in the standards due to a rise in the competitive market of nursing homes (Kripalani, Theobald, Anctil, & Vasilevskis, 2014). Another significant challenge was the integration of care. For example, in the 1990s almost 20% Medicare beneficiaries received in more than one setting. In late 1990s many hoped that managed care could integrate acute and long-term care to improve service delivery for chronically ill patients. However, it failed in efforts to do so, the health care system faced many mergers and acquisitions, which led to monopoly power in the sector. As a result, the approach reduced competition, which consequently reduced the cost. Additionally, it prevented collaborative efforts for patients’ transition from one healthcare setting to another (Kripalani, Theobald, Anctil, & Vasilevskis, 2014). Most critics argue that there is no ideological foundation on the healthcare system and mostly long-term care. Debates revolve around the issue of whether the system is a privilege or a right. The ideological difference results in the lack of cultural support of public universal care system. Other studies state that it is an ideology of socialism while still others think that a mandatory coverage system is against the freedom of citizens. As long-term care system expands, new challenges arise. Workforce shortage, quality of care, access to care by all citizens and unstable financing system are significant issues in long-term care. Health care reforms made efforts to quell the debate but failed. Significant issues include quality and financing. Secondly, the challenges will grow as the population ages. For example, the number of persons requiring long-term care as for 2010 will have doubled by 2020 (Kripalani, Theobald, Anctil, & Vasilevskis, 2014). To address previous challenges, the Patient Protection and Affordable Care Act encourage innovations in health force training, recruitment and retention. It aims at increasing the supply of healthcare workers. 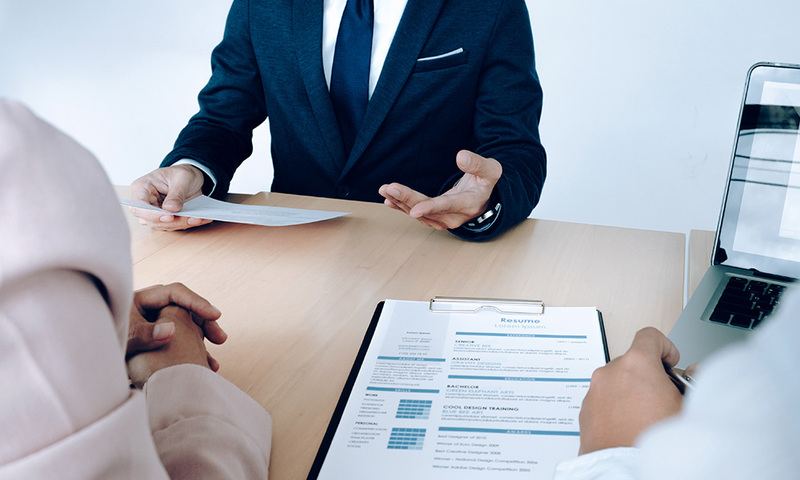 However, research establishes a need for long-term care exceeding the supply of qualified workers which will result in the severe shortage in the near future. The scarcity of nurses and paraprofessional workers resides in nursing homes and agencies that provide home- and community-based care. For example, currently, 91% of nursing homes need adequate staff for primary care. Another indicator is the vacancy rate for nurses in home care that is around 12%. The above outcome is, as a result, the expansion of eligible lower income persons and assumes the federal cost for such costs of expansion. Since the rate of expansion is lower than the rate of enrollments and aging population, then there lacks the capacity both human and infrastructural for long-term care (Institute for the Future of Aging Services, 2007). The second challenge is the rate of turnover among home care workers, which also contributes to inadequate staffing. Annual turnover rates of certified nurses equal almost 100% in nursing homes while in home health care these rates equal around 21%. A factor that influences the trend is the lack of incentives. For example, the scope of coverage per nurse is high compared to remunerations because of the increased number of aging people. Secondly, home health nurses have demanding jobs. For example, they manage patients with multiple health conditions and also family dynamics, yet the professional nurse remains a low-wage occupation with few or no benefits (Institute for the Future of Aging Services, 2007). A third challenge is the quality of care. The Patient Protection and Affordable Care Act provide for quality and affordable health care for citizens. It also provides enhanced quality and efficiency to persons enrolled in both Medicare and Medicaid and rural areas. Secondly, it aims at linking payments to quality through value-based purchasing programs. Even though the Act provides for the quality care, desired outcomes are not clear. For example, it should specify the nature of quality whether it is restoration, rehabilitation, compensation or prevention of death. Secondly, there are no means of comparing the quality of care across different long-term settings. Additionally, the need for quality long-term care lacks clarity on whether changes lead to the quality encounter between the caregiver and patients. For example, clinical information does not apply to different settings through the system (Brown & Finkelstein, 2011). The fourth most significant challenge in long-term care is financing. Long-term care funding depends on federal tax. For example, the largest source of public fund is from Medicaid, which accounts for 45% of long-term care spending. Secondly, Medicaid expenditure is about 15% of the state budget and is expected to grow at an annual rate of 9%. As a result, most states cut Medicaid benefits, increasing co-payments and reporting eligibility. Health care reforms introduced prospective payments for post-acute care. It intends to control the increase in Medicare spending. However, instead of payments on the basis of the actual cost of service, providers receive fixed payments for service. As a result, it may restrict post-acute patients needing home health care from enrolling. As a result, health care reforms do not exhaust the need to sustain all services for both home and institutional based long-term care services (National Senior Citizens Law Center, 2010). The health reforms legislation has several provisions related to long-term care. However, the most significant one is the Community Living Assistance Services and Support or the CLASS Act. The act ensures that long-term care is available to citizens, who will enroll with the option to opt out. In also provides that individuals pay premiums and after five years, the one with health challenges receives cash benefits. The approach aims at offsetting the cost of long-term care services. For example, the funds allow individuals to receive services at home. Therefore, such persons will not require admission to nursing homes. As a result, the provision is significant in making healthcare more accessible and affordable than before (Gleckman, 2010). Another opportunity offered by the healthcare reform is the reduction of healthcare cost through expanding eligibility for insurance. Long-term care expenses take a significant portion of the Medicare ad Medicare budgets. Through insurance, there is an opportunity to reduce costs in the sector. The reforms also advocate for health insurance market reforms. For example, the healthcare reforms project significant changes in 2014; new rules will eliminate medical underwriting. As a result, insurers will not deny coverage. Consequently, citizens will access long-term care regardless of status (National Senior Citizens Law Center, 2010). The reforms provide for the guideline for institutional transparency of nursing homes. As a result, the reforms allow the public to understand ownership and operational hierarchy within the area. For example, facilities must disclose information regarding members, partners, trustee or managing employee of the facility. As a result, patients will compare services and receive care based on medical necessity. Additionally, nursing facilitates must institute an operational compliance and ethics program to promote quality care. The programs comply with federal regulations such as distinguishing between single facilities and chains. Secondly, the facilities must ensure adequate monitoring to ensure adequate discipline and respond to offenses. Another opportunity offered by health care reforms is technical support designed to meet institutional standards. For example, the reforms provide for the establishment of a quality assurance program for nursing facilities. CMS assumes the responsibility to plan and implement the best practices for facilities to abide (National Senior Citizens Law Center, 2010). Most potential risks presented by the healthcare reforms are in the long-run. There is little evidence that tax credits increase demand for private long-term care insurance (Saucier, Burwell, & Gerst, 2005). The incentives may encourage further participation, but without significant expansion in the risk pool to reduce premiums, the products will not attract most middle-class consumers. As a result, in the long-run private insurance alone is not a policy solution to the problem of financing long-term care services. For example, most reforming countries choose income-related premiums and reject the idea of premium unrelated to income. Rather, they choose to fund their insurance with payroll taxes. In contrast, the CLASS Act is not income-related hence resembles private insurance (Gleckman, 2010). Lessons from Germany and France suggest that universal insurance results in the increased unexpected cost to long-term care. The trend observes whether the system offers cash, services, or both. The most significant growth is common to primary care. Even though adjustments in both financing and benefits may appear to be manageable in the short-term, the effect is significant in the long-run (Saucier, Burwell, & Gerst, 2005). For example, the option of cash versus a service benefit is significant in reducing long-term costs. For home care to function, families need training both in personal care skills and hiring and managing home care workers. In the U.S, there are only a few training programs. Germany, for example, receives support from the government. In contrast, Medicaid cash benefits are popular but only available to few. The reason is that private long-term care insurers charge additional premiums for cash benefits hence discouraging purchasers (Gleckman, 2010). Long-term care is of assistance to basic tasks such as walking, breathing or even feeding of disabled and senior citizens. It may also involve assistance to persons with chronic illnesses, and, as a result, it requires an appropriate level of medical care that consequently requires a skilled practitioner to address multiple issues associated with the vulnerable persons. Health care reforms provide many opportunities in increasing quality and accessibility of long-term care. It is as a result of past unregulated long-term care sectors, which faced many challenges. As a result, healthcare reforms developed sound institutional and financing changes to ensure universal care to all. However, even though the passage of the Patient Protection and Affordable Care Act provides many opportunities in increasing quality and accessibility of long-term care, there are still challenges in the implementation and sustainability of the programs in the long-run. Gleckman, H. (2010). Long-term care financing reform: Lessons from the U.S and abroad. Institute for the Future of Aging Services. (2007). The long-term care workforce: Can the crisis be fixed?”: Problem, causes and option. Miller, E. A. (2012). The affordable care act and long-term care: comprehensive reforms or just tinkering around the edges? Journal of Aging & Social Policy, 24(2), 101-17. National Senior Citizens Law Center. (2010). Health care reforms & long-term care facilities. Saucier, P., Burwell, B., & Gerst, K. (2005). The past, present and future of managed long-term care. U.S Department of Health and Human Services.